PureKit have a large range of sports and outdoor footwear, with top brands to choose from such as Merrell, Teva, The North Face and Berghaus. We are a one stop shop for all of your footwear needs. 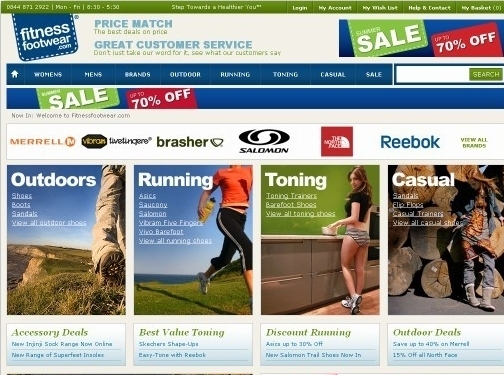 Sports footwear e-tailer based in the UK. Clean, colourful layout. All delivery, returns, terms and contact information is available at the footer of each page.